Connecticut quintet Indestructible Noise Command (I.N.C.) have played uncompromising thrash since 1985 when Erik Barath and Dennis Gergely formed the band in high school. After a pair of albums on a major label, the band took some time off before making a full-on return in 2010. On March 8th, their fifth full-length album, “Terrible Things,” will be released. It finds the band returning to their roots: stripped down thrash with a technical edge. Today, the band have premiered the first single from the album, “Declaration”, which is streaming here. “We were angry and wild,” guitarist Erik Barath says of I.N.C.s 1985 genesis, a reaction to the homogenous pop of MTV. “[That music] didn’t represent what we were feeling. Aggressive Thrash Metal was our outlet and our truth.” Indestructible Noise Command crew recorded a demo tape in 1986 and immediately started booking bigger shows, appearing on stage with the likes of Exodus, Megadeth, Pantera, Testament and King Diamond. Less than a year later and only six months after their high school graduation, I.N.C. were signed to Giant Records to begin work on their first full length album, Razorback, which was released in 1987. I.N.C.’s 1988 follow-up, The Visitor, cemented them a place in thrash metal history, hitting #1 on the U.S. college metal charts and stealing the U.K. #2 import slot out from underneath Aerosmith. After funding from Giant Records began to lose steam, I.N.C. decided to step back and assess the weary record contract landscape for what it was. The band was determined to build a life outside of the metal arena until they were able to finance their own comeback and then launch into a full-fledged resurrection. Emerging as the band’s first offering in 20 years, 2010’s Bleed the Line EP was quickly embraced by metal fans, garnering airplay at metal radio and winning over new fans to go along with the rabid following they already had. The band’s third full-length, 2011’s Heaven Sent…Hellbound was released by Rising Records in Europe and Candlelight Records in North America. It was produced by Fredrik Nordström (At the Gates, In Flames, Opeth), with artwork from Sam Shearon (Iron Maiden, Rob Zombie, Fear Factory). In 2012 drummer Kyle Shepard and bassist David Campo (Payback, When Freedom Dies) joined the band to complete the permanent lineup. That year I.N.C. played shows with Godsmack, Trivium, Stained and Onslaught. 2014’s Black Horse Serenade continued the band’s streak, signing with TKO Booking and touring America. 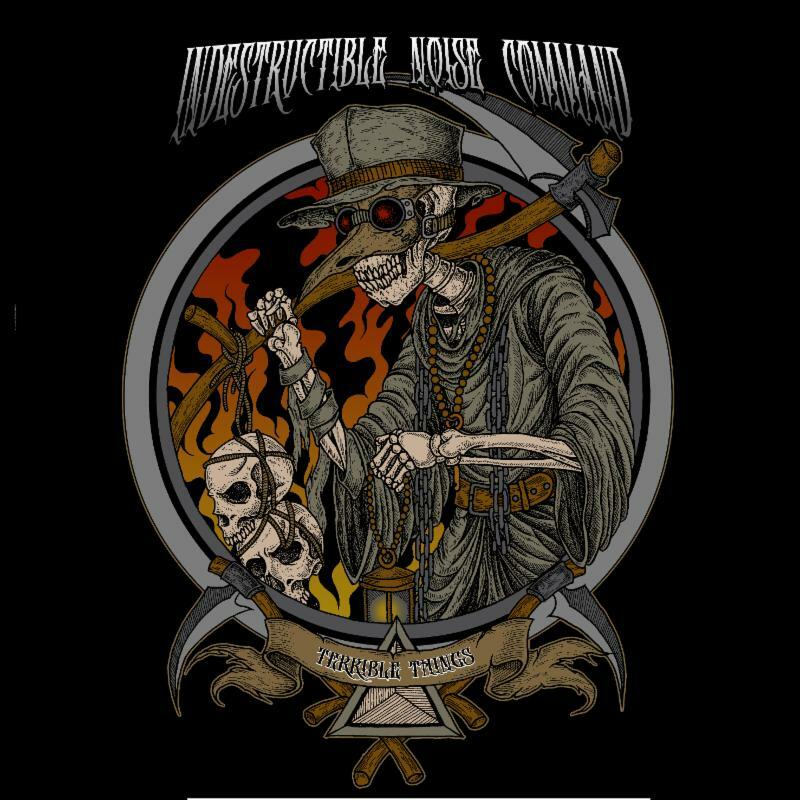 In January of 2018, Indestructible Noise Command began writing their 5th album, Terrible Things, entering the studio in September. The band chose to again work with Nicky Bellmore at Dexter Labs studios, who recorded Black Hearse Serenade. The album was completed in December and will be self-released. INC says the new album will be a return to the band’s thrash roots, stripped down, fast but still with some technical edge. Terrible Things is slated for release on March 8th.